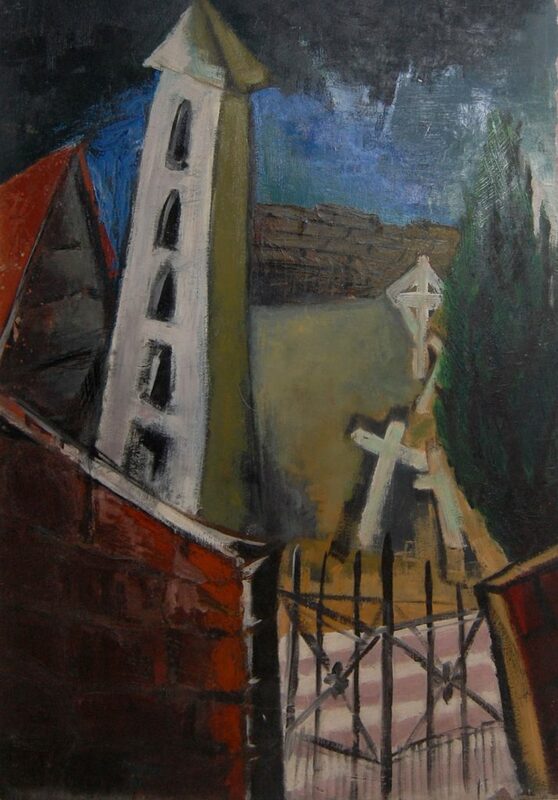 „Friedhof“, 1951, oil color on masonite, 62 cm x 89 cm. Herbert Henschel was born in 1914 in Forst/Lausitz, Bandenburg. He is said to have been a student of Franz Xaver Fuhr (198-1973) at the Art Academy Munich (not confirmed by matriculation). Later on, he was working as an illustrator and photographer in Jena and published several books on the city.